The Ondo Development Committee was established by the Osemawe-in-Council and had its inaugural meeting on Monday 6th day of October 1986. The Committee with an initial Membership of thirty, cutting across different age groups and professions. All the High Chiefs: Lisa S.A. Oldapo, Jomu William Ogunye, Odunwo G. Akinyosoye, Sasere S.N. 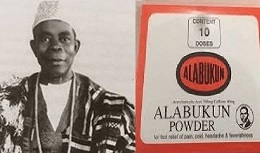 Agunbiade and Chief Odofin Ebun Olawole (as he was then) was made the Chairman. The committee was charged with looking into the developmental needs of Ondo Community and the progress and status of the Ondo Community within the larger context of Ondo State, as well as the deteriorating relationship between it and its neighbours. The “Ondo Development Committee” was registered under Section C (Land Perpetual Succession) of the Corporate Affairs Commission in Year 2004 and it is a legal entity: the name “Ondo Development Committee” should not be used by any other Club or Association. One of the earliest decisions of the ODC was to establish an annual Ekimogun Day as rallying point for all Ondos to come home for a Grand Carnival and contribute to the development of the Community. The ODC has used its unique and pivotal position in mobilizing the people of Ondo for the Annual Ekimogun Festival, which has been highly successful and has been the ODC’s major source of revenue for Community’s developmental efforts over the years. 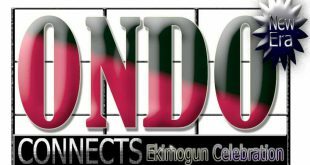 A testimony to the success of Ekimogun Day is the construction of the magnificent and beautiful edifies called Civic Centre. The Civic Centre has been built without assistance from the State or local Governments. 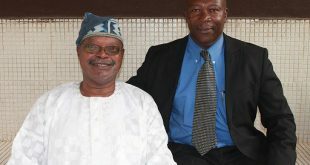 The ODC has given a pride of place to the Monarchy and Osemawe-in-Council: specifically the intervention of the ODC in the long drawn out Osemawe Chieftaincy dispute was a considerable achievement and a milestone in its history. No less commendable was the role of the ODC in ensuring a smooth succession to the throne on the demise of Oba Festus Ibidapo Adesanoye Osungbedelola 11. 1. To mobilize the Community for development effort. 2. To articulate, by way of Seminars, Workshops etc, issues and problems affecting Ondo as a Community. 3. To recognize and reward Ondo Sons and daughters who have achieved excellence in their various endeavours. 4. 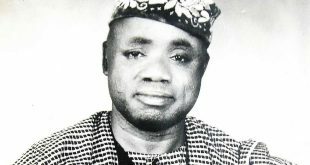 To popularize and eventually commercialize some aspects of Ondo culture and thus promote areas of Ondo culture and tradition which had hitherto remained unpublished or undocumented. The First Ekimogun Day was a huge success, apart from the carnival atmosphere and festive mood. It was characterized by mass participation of Clubs and associations and a NGN (Ten Million Naira) Ekimogun Development Fund was launched. The Ekimogun Development Fund was meant to be a contribution for the location of the then Ondo State University’s Faculty of Engineering in Ondo Town. But when it did not materialize, it was decided that it should be used to fund the building of the Civic Center. The Ondo Civic Centre has been the major physical development by the ODC. The Main Hall of the Civic Centre, now Oba Adesanoye Civic Centre was built with donations collected at the Annual Ekimogun Day Festivals and it took thirteen years to complete it. The second phase was donated and built by Chief Sara J.O. Adeduro between Year 2006 and 2007. Although it is a non Governmental Organization, yet ODC enjoys considerable moral authority and a high degree of legitimacy unmatched by elected officials. Moreover its record of achievement has transparent accountability. Its non partisanship all combine to make ODC a formidable force in the affairs of Ondo Kingdom. The Ondo Development Committee was conceived as an umbrella organization for all Ondo Clubs in Ondo Kingdom, in Nigeria and in Diaspora. Most Clubs contributed to funds raised at Ekimogun Festivals. We would like to use this medium to explain to all Ondo Clubs and Associations that the Ondo Development Committee is not only the Apex Organization for all Ondo Clubs and Associations within the Kingdom and in Diaspora. Ondo Clubs are free to organize Festivals, Cultural, Fund Raising or Social events wherever they may be and they can call ODC to help with their organization if they so wish, however it would not be appropriate for a Club or association to call itself Ondo Development Committee. The Osemawe is the Traditional Head of all Ondos and Paramount Ruler of Ondo Kingdom; in deciding whether to invite the Osemawe to their functions, Clubs and Associations should show respect for the Monarchy and show appreciation of the financial implications of such an invitation. A Royal visits to foreign countries would involve considerable logistics and a lot of protocol. Moreover organizations intending to invite the Osemawe should bear in mind that the Osemawe, apart from his Olori, would have to travel with an entourage of possible five Chiefs or more. This is not a venture that an organization should embark on lightly.